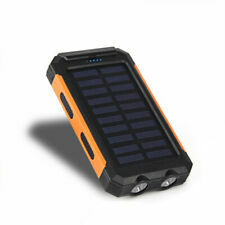 100000MAH POWER BANK USB PORTABLE LED BATTERY CHARGER PACK FOR ALL SMART PHONES. 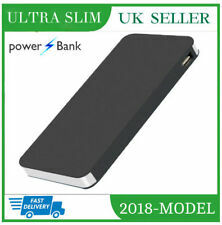 5 out of 5 stars - 100000MAH POWER BANK USB PORTABLE LED BATTERY CHARGER PACK FOR ALL SMART PHONES. 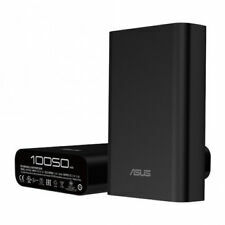 1 product rating1 product ratings - 100000MAH POWER BANK USB PORTABLE LED BATTERY CHARGER PACK FOR ALL SMART PHONES. Specification： -----For 4000mAh. Capacity: 5000mAh. 1 x USB LED lamp. 1 x Micro USB cable. Key Features: 1--The Anker Advantage: Join the 10 million powered by our leading technology. 2--Remarkably Compact: One of the smallest and lightest 10000mAh portable charger. Provides almost three-and-a-half iPhone 6s charges or three Galaxy S6 charges. 3--High-Speed Charging: Anker's exclusive PowerIQ and VoltageBoost combine to deliver the fastest possible charge for any device. Qualcomm Quick Charge not supported. 4--Certified Safe: Anker's MultiProtect safety system ensures complete protection for you and your devices. 5--What You Get: Anker PowerCore 10000 portable charger, Micro USB cable, travel pouch, welcome guide, our worry-free 18-month warranty and friendly customer service. Incredibly Compact: The size of a small candy bar (3.8 × 1.7 × 0.9in, 4.2oz) it fits perfectly in your pocket. High Capacity. This thing is remarkably small. We use only premium battery cells, together with superior materials and cutting-edge technology, to ensure complete safety.